Your personal Shopper gives you the opportunity not only to buy an item from famous brands and new arrival products in the US markets but also provides you with the very reasonable shipping costs of packages fom USA to Tanzania. You can easily shop from particular brands or shops in USA and estimate your shipping costs from the help of our above estimated calculator. We have designed our shipping costs in such a way that the more the volume, the lesser the shipping costs from USA. This means you will get more benefit of our shipping charges when you do shopping in bulk amount in USA. 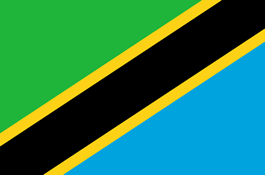 Now is the great opportunity for customers in Tanzania to save their shipping fees only from Your Personal Shopper. YPS gives you not only express delivery but also reliabilty that once shopped items arrive at our premises i.e US Virtual Address, your parcel will take 5 to 8 working days to deliver on your door step. Remember it does not include weekends and holidays. Our aim is to deliver your parcels within 8 business days with all traceability and comfort.